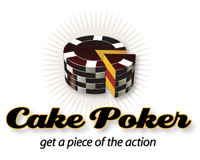 Cake Poker is one of the leaders in the poker industry. Cake Poker offers a lot of great ring games, tournaments and bonuses. The poker games you will find here are: Texas Hold'em, Omaha, Omaha Hi-Lo, Seven Card Stud, and Seven Card Stud Hi-Lo. After choosing your game, it's time to choose the type of tables to play in. There are the No-Limit, Fixed-Limit and Pot-Limit tables. The stakes range from $0.02/$0.04 and up to $500/$1,000 for high rollers. 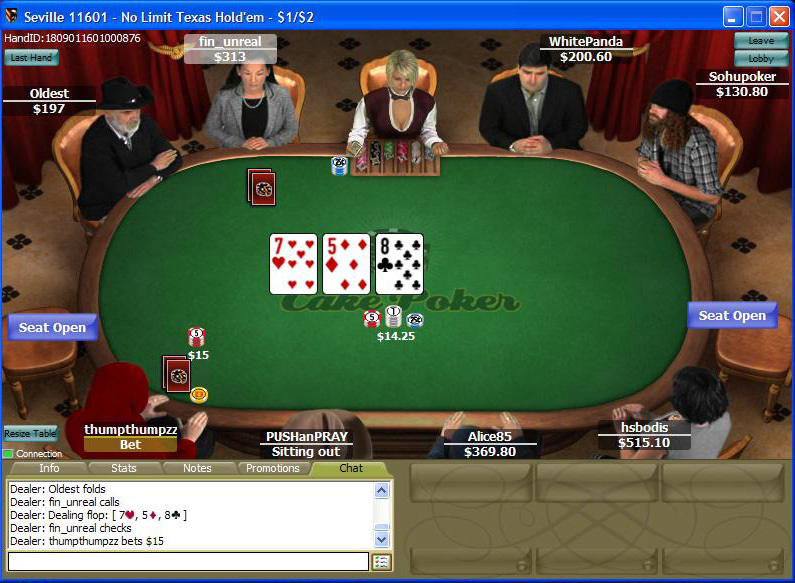 As for the number of seats, you will find tables with 2, 6, and 10 players. There is always action at the tables and traffic here is pretty good, so no matter what game you chose to play or what table you desire, you will always find you're not alone and there are players everywhere to play against. Deposit Options: Visa, MasterCard, Diners Club, Neteller, Moneybookers, Paysafe Card, ECO, UseMyWallet, EwalletXpress, Visa Electron, Maestro, Solo, Delta, Poli, GiroPay, iDeal, Postepay, DK. Withdrawal Options: Neteller, Moneybookers, ECO, UseMyWallet, EwalletXpress. Support is available by e-mail 24 hours a day, 7 days a week. Response is very professional and all inquiries are answered within 20 minutes. There are numerous tournaments to choose from and each with a great prize pool to win. The tournaments you will find here are: freerolls with a $0 entry fee, Daily $10,000, Daily $20,000, Daily $25,000, $20,000 Guaranteed Tournament, $50,000 Guaranteed Tournament, Weekly $100,000 Guaranteed Tournament, Monthly $250,000 Guaranteed Tournament and much more. There are also the Bounty Tournaments, where players have a price on their heads, so eliminate a player to progress in the tournament as well as win money for his elimination. Additional tournaments are the Turbo Tournaments, where blinds rise more quickly than regular tournaments, Gold Chip Tournaments and Satellites to big poker events around the world like the Irish Open, the Canadian Open Poker Championship and the WSOP. Buy-ins range from $0.35 and $1.10 and up to $1,030 and $5,100 for people who prefer the high stakes tournaments. As for the Sit-N-Go tournaments, buy-ins range from $1.10 and up to $5,100. The number of players range from SNGs for 2, 6, 10 players and up to SNG's for 20, 25 and 30 players. 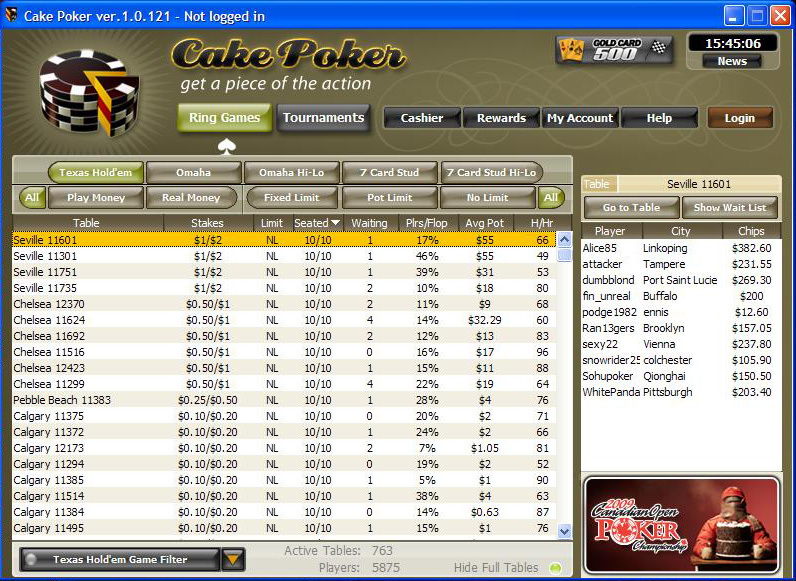 Cake Poker offers you 110% bonus of up to $600 for your first deposit. Also, you get to play in the special New Depositor freerolls with prize pools of $500 and even $1,000. - Irish Open. You can win a $7,000 prize package to the famous Irish Open. - Irish Open Gold Card Event. Enter this $50,000 prize pool event where you can also win one of six Irish Open prize packages. - Free Cake. Play the Freerolls to win big cash and gold chips. - Cake Shop. Use your Cake Points to buy various merchandise in the shop. From T-shirts and gear and up to electronics and more. We all know poker is a great sport but I want to offer you another amazing sports event to be part of and if you're a tennis fan you wouldn't want to miss the Australian Open 2012 Grand Slam event this coming January in Melbourne, Australia. Later on you can always find a good casino and earn some money playing poker - see you there!